Make rich hollandaise or bearnaise sauces, sweet salad dressings, and decadent baked goods with these 5 lb. sugared egg yolks! 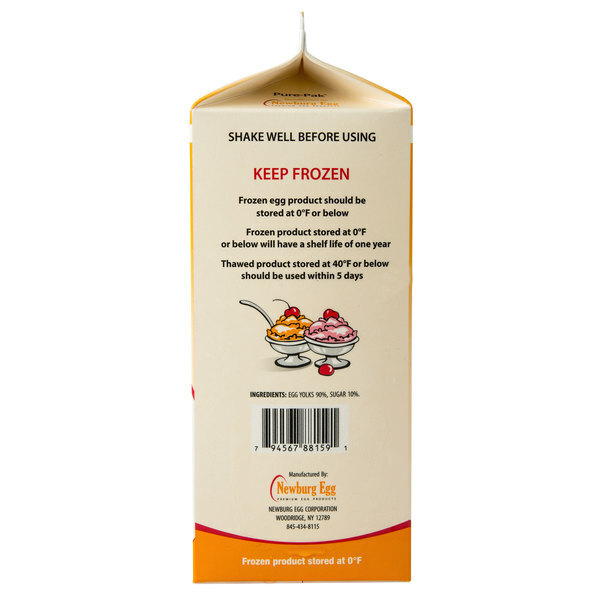 These egg yolks are pasteurized to eliminate the threat of salmonella contamination. They are shell-less and ready to use right out of the container for incredible labor savings, too. With these creamy egg yolks, you'll be able to churn fresh ice cream without wasting time cracking eggs, separating yolks from whites, and adding sugar. It's all done for you! 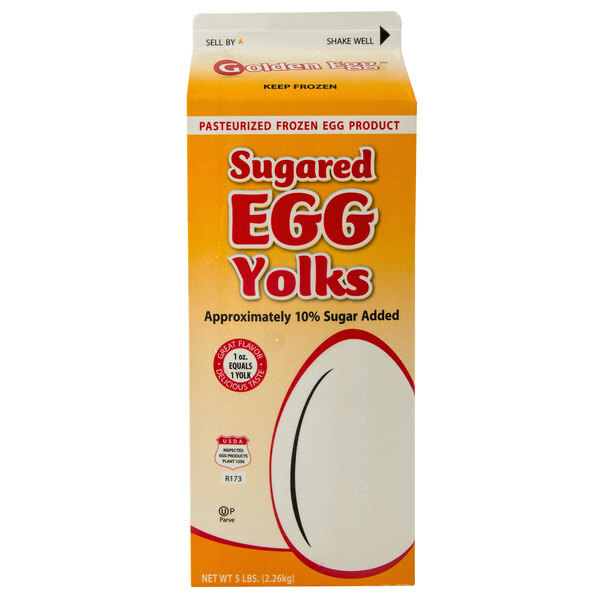 These egg yolks are sweetened with approximately 10% sugar, making them a sweet treat, perfect for both culinary and confectionary uses. 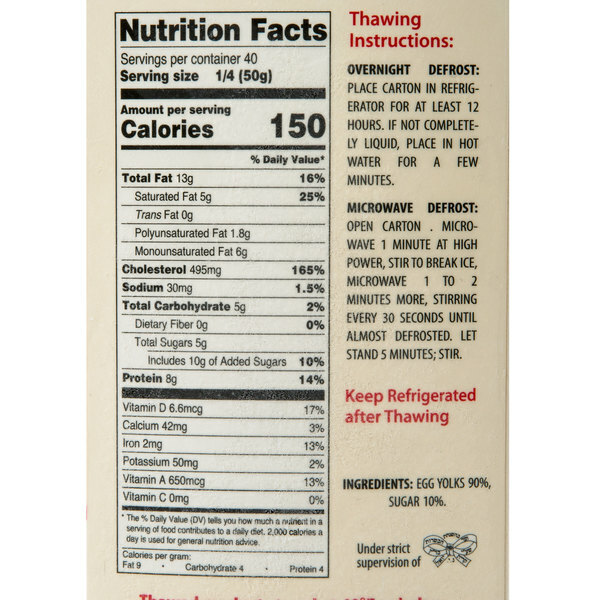 Plus, they're easy to swap in for fresh egg yolks - 1 oz. equals 1 yolk. 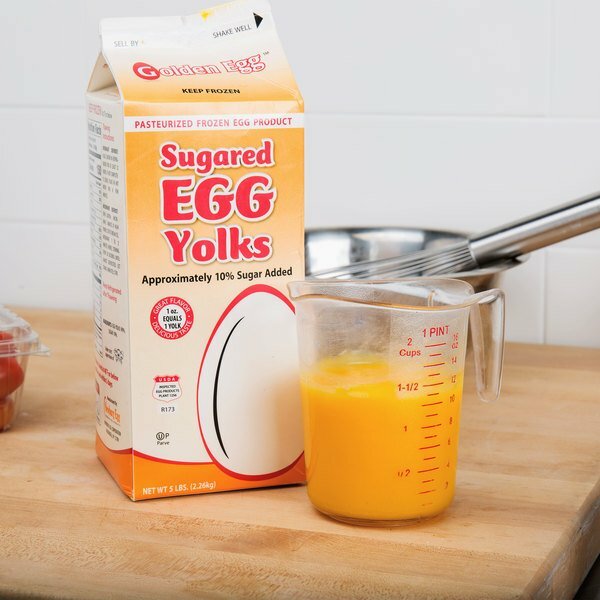 To use, simply defrost prior to use, measure, and use just like you'd use fresh sugared egg yolks.